We love travel and we are sure everyone who visits us here knows that. But other than travel, our other love is reading. And so we couldn’t resist this opportunity when we were approached to feature a guest post about libraries. Shhhhh. From monastic reading rooms to an astonishing everyman’s book trove, Holiday Lettings takes a temporary vow of silence and explores five of the most historic libraries on the planet. From its marble floor to the decorative iron balconies all the way up to its vertiginous 61-foot roof, this labour of love is undeniably impressive. 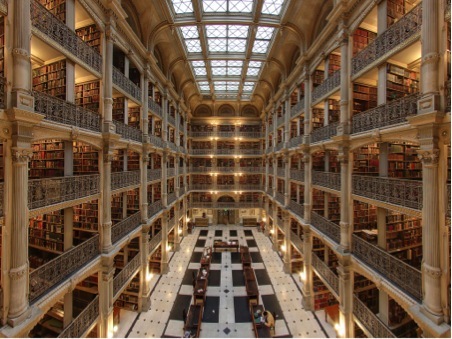 Founded by philanthropist George Peabody for the people of Baltimore to enjoy, and now part of John Hopkins University, this huge temple of learning contains around 300,000 books. These mostly date from the 18th to 20th centuries and cover a broad range of reference topics, including history, art, religion and travel. 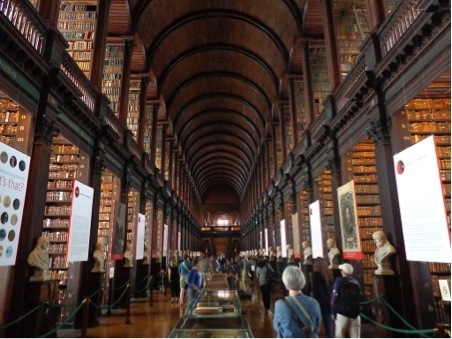 Trinity College’s Old Library is Ireland’s largest. It specialises in early printed works and dominates this attractive city-centre campus. The main attraction for visitors is the impressive Long Room (65 metres long, to be exact). Here you can marvel at the extravagant illustrations and graceful calligraphy of the Book of Kells, an ancient illuminated manuscript dating back to 800 AD. See if you can spot writer Jonathan Swift among the pale marble busts. Then check out the barrel ceiling, a later development devised when the library’s groaning shelves called for an extra level to be added. 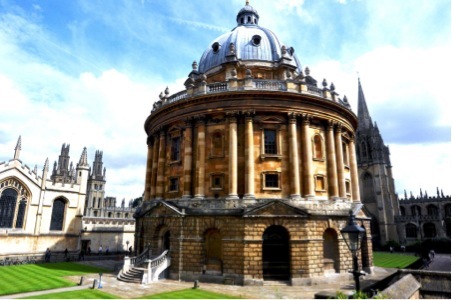 Part of the prestigious University of Oxford, the Bodleian is a must-see attraction on a visit to this genteel city. Walk the hallowed halls, from the hushed reading rooms to the Divinity School, to the Exhibition Room, then step back out into the quadrangles to admire the elegant frontage. On your tour you may think you recognise certain spots – that’s because parts of the Bodleian featured in the Harry Potter films. Check online before making a special trip, as certain rooms close for university ceremonies and private events. 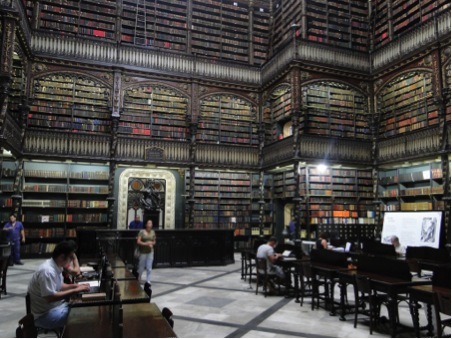 The pale limestone facade here reveals a stunning interior heaving with around 350,000 volumes of Portuguese literature. It’s the largest assemblage of Portuguese works outside of Portugal itself. 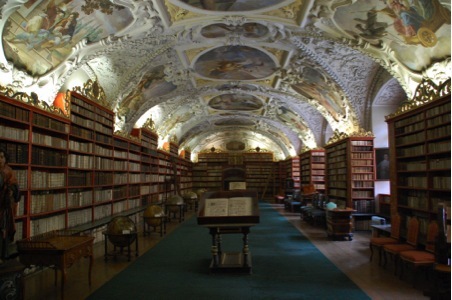 Head to the imposing Strahov Monastery to see its two historic library spaces, lined with around 200,000 texts. The 17th-century Theological Hall is dotted with antique globes and features an entire wall of Bibles in various editions and languages. All of this is overlooked by a jaw-dropping ceiling fresco by painter Siard Nosecký. Move on to the Philosophical Hall, a newer 18th-century addition, which sports another ceiling fresco by Vienna’s Anton Maulbertsch. You won’t be able to tell, but false book spines hide secret staircases up to the higher levels here. Be sure to book in advance onto a guided library tour to guarantee a glimpse of these awe-inspiring rooms. Disclaimer: This is not a sponsored post, it was selected by us to be featured. This is a guest post written by Holiday Lettings, a Tripadvisor.com company. This entry was posted in Brazil, Czech Republic, Ireland, United Kingdom, USA and tagged books, guest post, history, libraries, Travel. The Daily Post challenge was to “share a photo that has a little something extra.” Michelle said: “A beautiful photo is one thing, but a photo with an unexpected detail has personality and pop” and she suggested possibly sharing something with a humorous element. 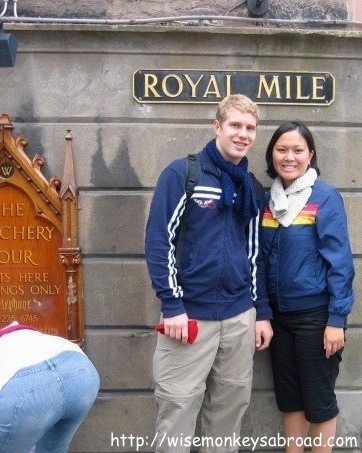 We tend to not post photos of ourselves on our blog but we just had to share this photo of us on the Royal Mile in Edinburgh back in 2006 with a “cheeky photo bomb” (pun intended) that we never noticed until we were revisiting our travel photos recently. This entry was posted in United Kingdom, Weekly Photo Challenges and tagged Edinburgh, humorous element, photo, photo bomb, photoshop, Royal Mile, something extra, Travel, Weekly Photo Challenge. Before we actually travelled, we would pseudo-travel: after work, as we channel surfed, we would always end up watching travel shows. 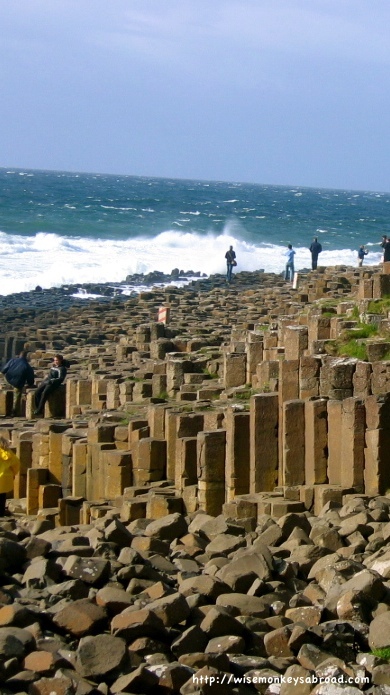 And it was on one of those shows when we first saw and heard about the Giant’s Causeway. So when we were in Europe back in 2006, we added Northern Ireland to our list of countries to visit – and we didn’t regret it one bit. 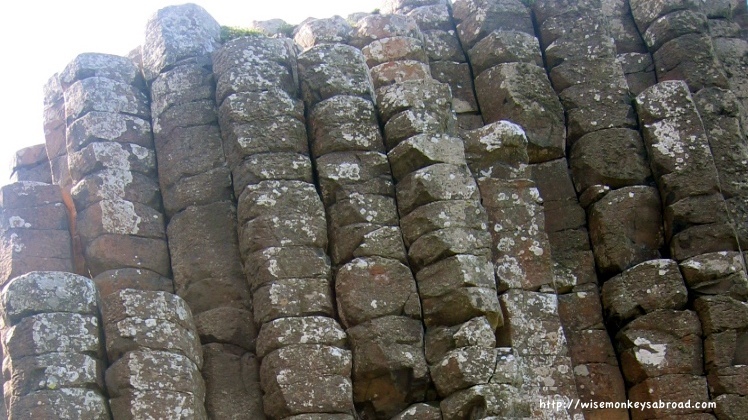 There are 6 km of this unusual geological formation; polygon-shaped rocks piled on top of one another into columns. Formed following volcanic activity many million years ago, there are similar formations as well on the coast of Scotland – just across the body of water. Admission gives you access to the visitor’s centre and pedestrian access to the Causeway. There are regular shuttles down to the Causeway but there is a small additional charge. There was the option to see the rocks from “bird’s eye” view by walking along the cliff track up above. Beware on windy days!! 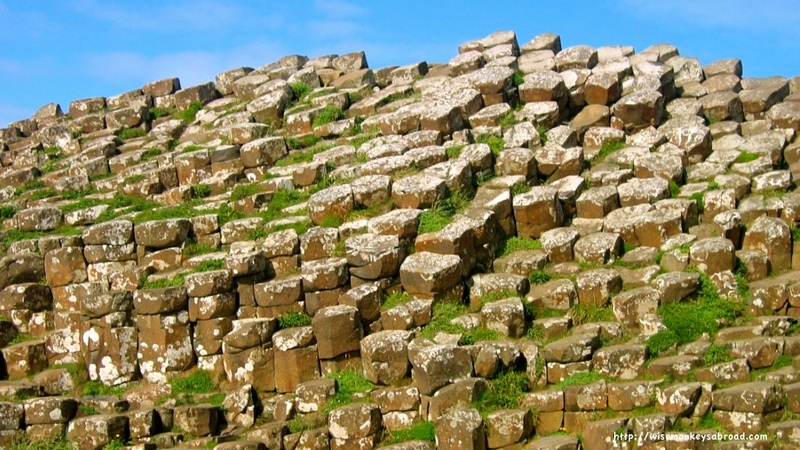 The Giant’s Causeway is about an hour’s drive out of Belfast. 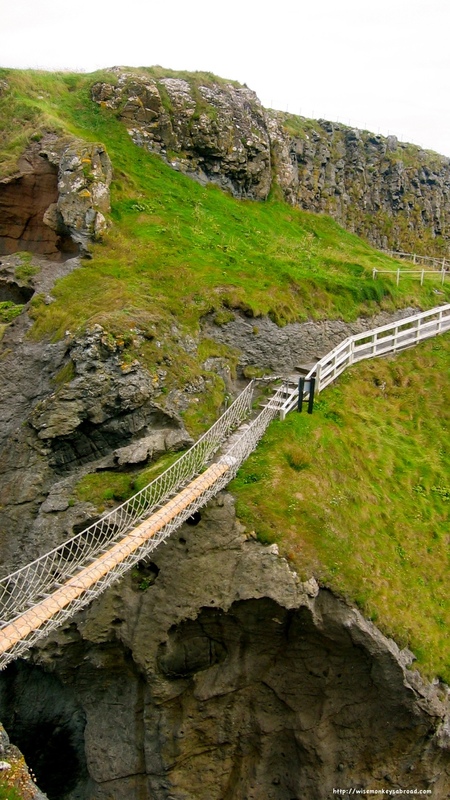 And not far from it is Carrick-a-Rede Rope Bridge. The day we went it was so crazy windy, that we were not allowed to cross the bridge. 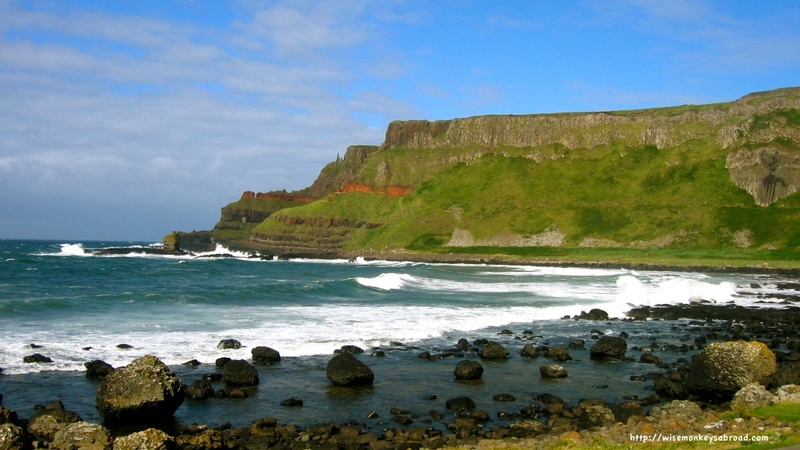 Giant’s Causeway and Causeway Coast were UNESCO Heritage listed in 1986. 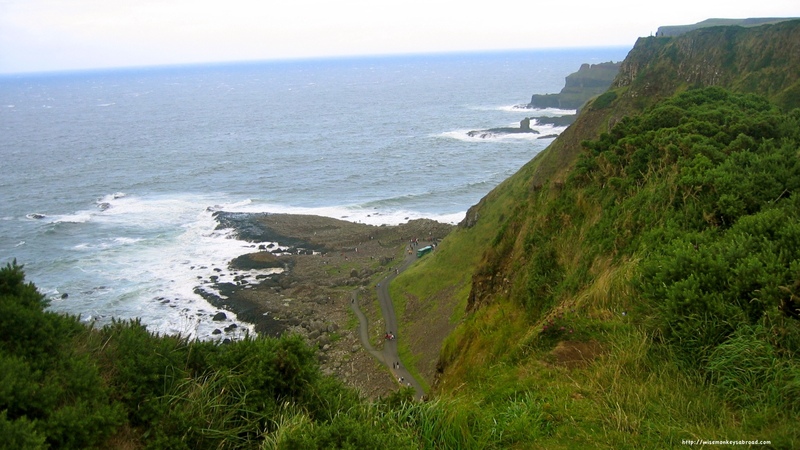 This entry was posted in Europe, UNESCO, United Kingdom and tagged Belfast, geology, Giant's Causeway, myth, natural wonders, Northern Ireland, Photography, rock formations, Travel, unesco, volcanic. It might be hard to believe for some but we saw blue skies in London and to gloat even more, the entire week that we were there was filled with sunshine and blue sky. There was nothing to complain about in London. Everything from visiting Windsor Castle to buying a donut at Harrods, day trips to Oxford University and the Cotswolds. London has it all when it comes to things to see and do. But to be fair, let’s just London did throw us come curve balls! One day, we went to eat Yum Cha. To be clear, it is known as Dim Sum here….which we needed to get our heads around. Then once seated, we expected the waitresses and waiters to start wheeling round the trolleys full of goodies. Sadly, this was not to be…. We had to order off the menu. What?!! That’s not Yum Cha… that’s just a la carte! And then there was the night where we went to watch Phantom of The Opera, which was fantastic! Before we saw the musical though, we had a pre-dinner meal at an Italian restaurant. Who would expect that we would be serenaded by a 4-man band and an accordian and then have to pay a tip to them. Hadn’t seen that one coming, honestly thought it was restaurant entertainment thrown in. Admittedly, this was probably our obnoxiousness, but how can they NOT have chicken salt for their chips in the UK? There we were ordering some hot chips at a takeaway joint, and then we asked for some chicken salt. We may as well have had green heads climbing out of a UFO. Geez!! And lastly, we hopped on a bus en route to the “city” (apparently) until we reached a “terminus” where the driver told us to get off and wait for the bus across the road that will take us back to the city. So we did as we were told and waited by a bus stop that had a notice which read, “Bag snatching area! Beware of thieves!” Great!! Just great, we had been dumped in the middle of nowhere by a bus driver so we could be mugged. Anxiously we waited for the bus, and over the crest it came to save the day. And who else would be driving the bus, but the same bus driver that had just kicked us off…. What the??? 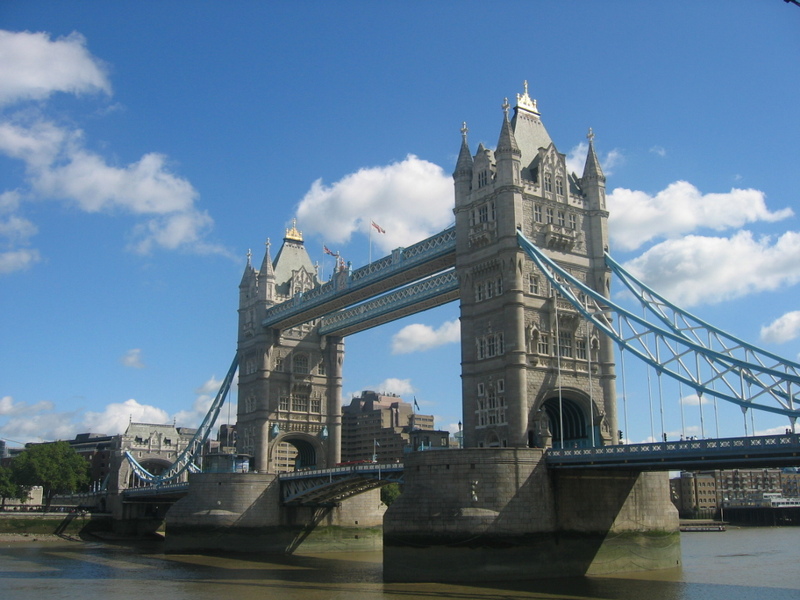 There’s no need to share much more about what else happened in London (and the surrounds) as we are very sure everyone else who has been there can rattle off all the typical tourist sights…. And despite the little bit of madness, we enjoyed it ever so much! This entry was posted in United Kingdom and tagged Cotswolds, England, Harrod, London, Oxford University, Windsor Castle.